S.J.Budd - Come and Behold My Dark World: How Can Symbolism Advance Your Writing? What is Symbolism in fiction? Symbolism simply means the using of symbols to demonstrates an idea or concept that is not easily communicated with just words. Symbols used can be anything from, literally symbols, objects, a particular word, colour or phrase, such as a cliche. It is a tool by which the writer can subtly suggest what may happen next without giving it away. For example describing a full moon in your story, can subconsciously give off the impression that something out of the ordinary is about to happen. 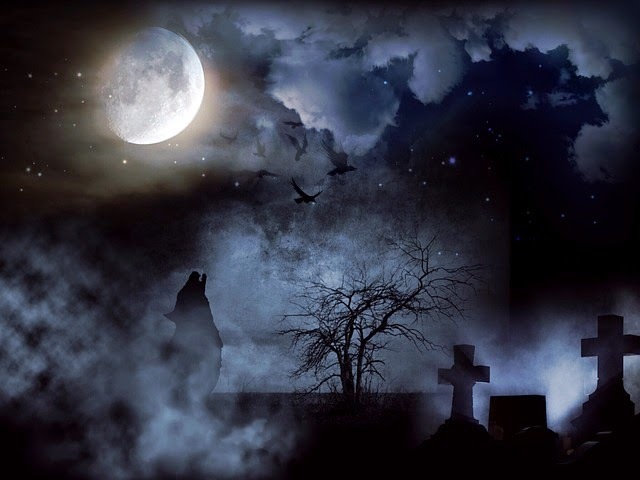 This is because a full moon is associated with many occult creatures such as werewolves and it is supposed to be a magical time in the moon's cycle. Not to mention the effect of setting your story at night. Interestingly colours can also be used to represent a character or concept. Traditionally black represents evil and white represents purity whilst the use of multi-colours represents happiness. Symbolism can add significant depth to fiction by transforming it from a good story to a fantastic one that teaches us something about the universe we live in, such as love never dies. How can Symbolism be used in fiction? Clever word use in descriptions can build up a certain mood and atmosphere which is relevant to the main plot - such as an appearance of a full moon as described above. Can be used to more easily demonstrate emotional feelings - her heart was cracking. This phrase is telling us she was so full of despair that her actual heart was breaking. Of course it's not referring to her physical heart, but we all understand what it means to have your heart broken. Can represent many ideas and concepts through clever word use without waffling on and boring your reader - symbolism can help your work to be concise and tight. It takes skill and practise to be able to effectively use symbolism to advance your writing, probably a skill that many writers fail to master, but it's worth persevering with if you want your fiction to have depth and be really meaningful.